Well...it's finally here!!! T-Ball, Coach Pitch, Major and Senior all play tonight. Should be a busy night at the Ball Park!! Hopefully everything has been taken care of, and that everything starts smoothly!! Good Luck Everyone, and HAVE A GREAT SEASON!!!! Special THANKS to all the coaches, we couldn't do it without you!!!! Congratulations to the Fort William Nationals team! District 3 Junior Division Champions! 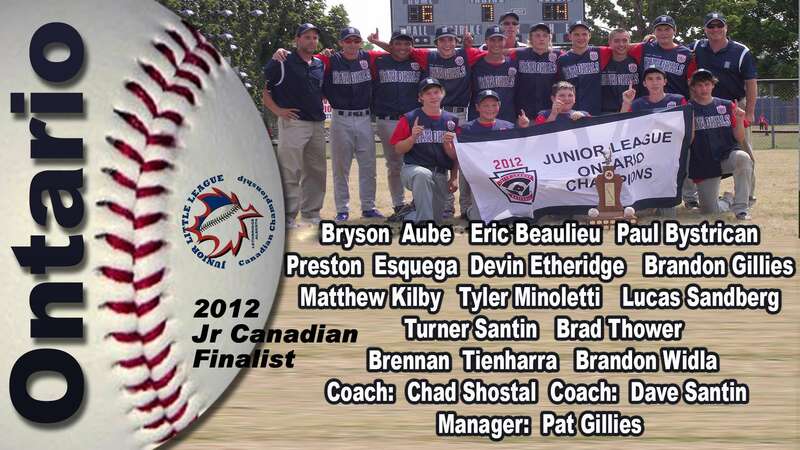 Ontario Champs! 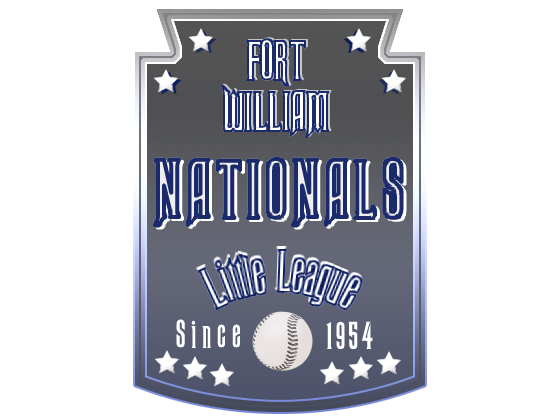 Welcome to another season of baseball with the Fort William Nationals. We are looking forward to a great year, fresh off the success last year of both our major and junior teams who travelled to the provincial championships. Hopefully the weather will co-operate a little more than it did last spring. A date for our AGM will be posted shortly, where we will be looking forward to having new volunteers bring ideas and energy to the organization.